standard package. 20Kg or 25Kg in small bag and then put into ton bags. Can be adjusted on customer's request. 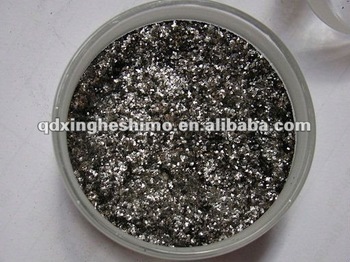 After being treated momentarily under high temperature ,flake graphite becomes expandable graphite which can expand 100-400 times in volume and still remains the performance of natural graphite .Being vermicular loose and porous .Its heat-resistant range under the oxygen-isolated environment is from -200°c to 3000°c.Characterized by good expandability and chemical stability under conditions of high temperature,high pressure and radiation.it is widely used for the dynamic seal and the static seal in petroleum industry,chemical industry.electric industry,space industry,automobile industry,ship industry and instrument industry.